"The Sweet Spot" is a melodic biography, a song-filled intimate journey through the lives of some of the most passionate, talented and funky folks in the biz with the music that shaped and influenced their lives. 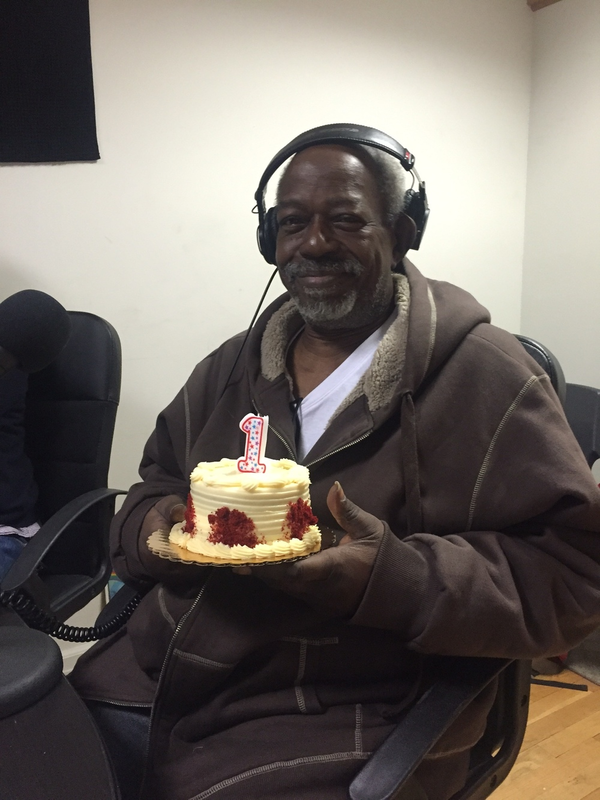 The show joined the WBAI 99.5 FM musical chairs lineup in August 2015 and has featured such luminaries as Verdine White, Roy Ayers, Patrick Adams, Femi Kuti, Alfa Anderson former lead singer of CHIC and Breakbeat Lou. AFROBEAT SPECIAL WITH FEMI KUTI AND WUNMI ON "THE SWEET SPOT"! We chat with legendary Femi Kuti and our featured guest in the studio is the accomplished singer, musician and fashion designer Wunmi! Also in the studio, we had a special visit from Haitian DJ Sabine Blaizin! The King of Good Vibes: Mr. ROY AYERS on "The Sweet Spot"! 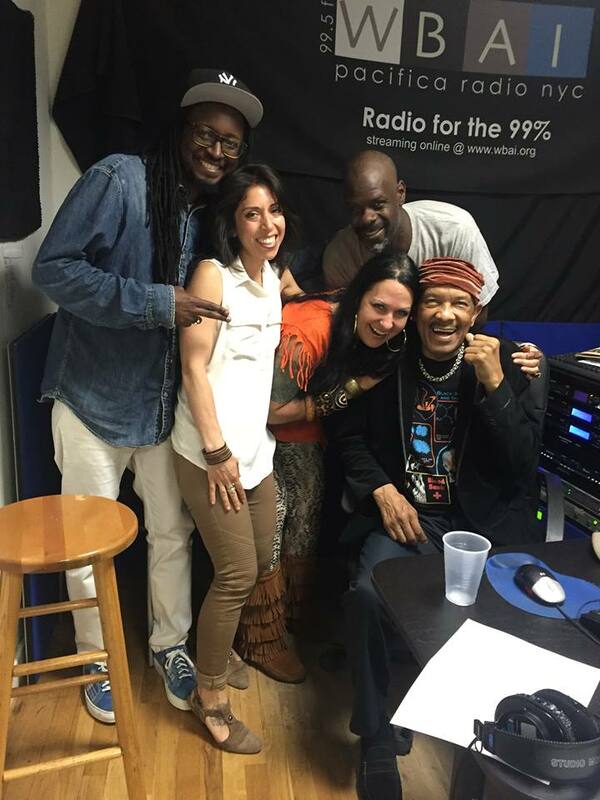 We were BLESSED to take a two-hour musical journey with the King of Good Vibes himself, jazz funk pioneer the LEGENDARY Mr. Roy Ayers! BREAKBEAT LOU CELEBRATES 30 YEARS OF "ULTIMATE BREAKS & BEATS"
August was hot in the studio as we welcomed DJ, Producer and co-creator (with Lenny Roberts) of the seminal music compilation series "Ultimate Breaks and Beats" Breakbeat Lou to "The Sweet Spot." The "Music Behind the Message" Brian Jackson is responsible for some of the most moving and profound political and social albums of the 70's along with his partner Gil Scott-Heron. Join us to hear some fascinating stories and the new grooves Brian is involved in as well! Over two solid hours with the mighty EWF including an interview with the masterful Verdine White and a tribute mix from DJ Spinna! We invited Mr. Patrick Adams - one of the most prolific record producer, songwriter, musical arranger and musicians and the "uncrowned King of Disco" - to the show on St. Patricks Day! One of the most profound and inspiring interviews we have had the pleasure to conduct, Jamel Shabazz dropped by the studios to give us an insight on the music that shaped and guided his path as one of the most important photographic documentarians of and in New York at a pivotal time in history. Yes we get our old school on here but we dearly appreciate all things of a groovalicious nature. WE LOVE THIS BAND!!! The art is high caliber, the sound is deliciously soulful. Caught up with Nicolay and Phonte of The Foreign Exchange for a few minutes of lovely conversation after a recent show. Alfa Anderson is one of the most genuine, sweetest, talented ladies out there who has fronted the disco sensation CHIC along with touring with Luther Vandross and singing with countless other stars. Join us as she she shares stories from her illustrious career as well as playing tracks from her upcoming solo record!